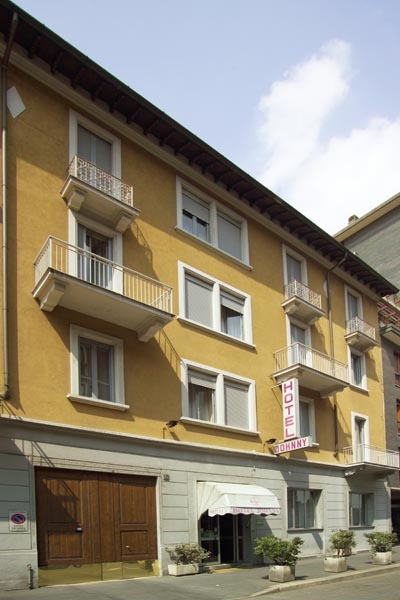 Our hotel is situated in a quiet street with very little traffic, right in the centre of Milan , a short distance (just 200 metres) from the entrance to the trade fair centre. 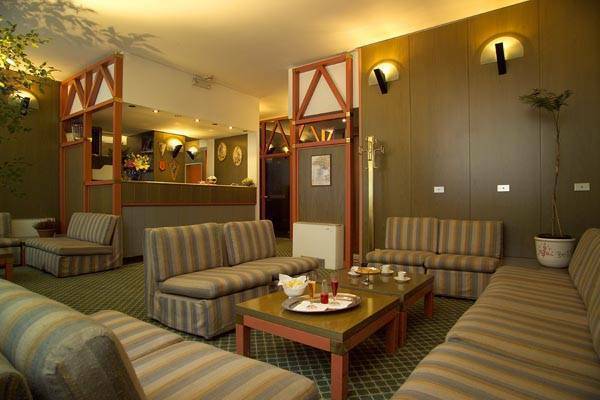 Completely renovated and refurbished, this hotel is complete with all the most modern and functional comforts. We hope to be able to provide you with all of the littlest comforts that you desire the most. You can count on our private car park . 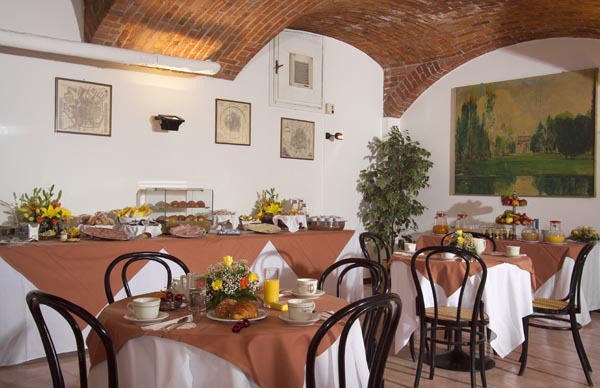 All rooms are equipped with an air-conditioning plant, an Internet connection, a telephone with a direct outside line, and a television with satellite channels. 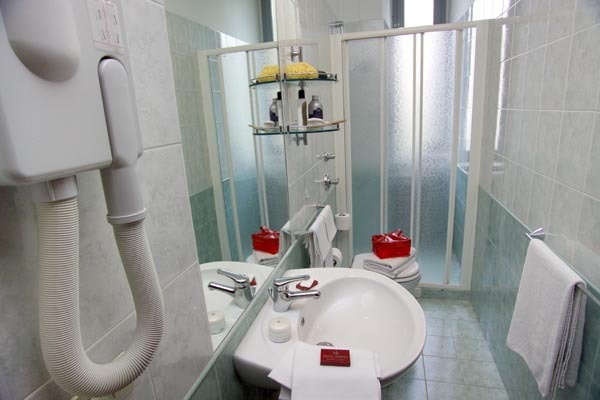 In the bathrooms, which all have a bathtub or a shower, you will also find a hair-dryer. Quiet, spacious and functional, some with large balconies, partially overlooking a quiet street and partially overlooking an internal courtyard. Following the recent restoration work, the rooms have been furnished in a sober and elegant manner, with natural chromatism and a few discrete liberty style details. The flooring is carpeted, the large surface areas are finished in wood, the curtains give the room a simple yet refined style, which is rendered quite peaceful by a pleasant and relaxing lighting system with delicate wall lamps. In the centre of Milan , a short distance (just 200 metres) from the Trade Fair Centre, Hotel Johnny is in a great position for reaching what will be the future Trade Fair building that is currently in the process of being built in Pero-Rho, which is approximately 6km away. Payment will be on departure. take the green metro line as far as Cadorna and then from here take tram no. 19 or no. 27 as far as the last stop (Piazza 6 Febbraio).